Long March 7 took flight at 12:00 UTC in what was the first Chinese launch with a sizeable public attendance as tens of thousands came to designated viewing areas to watch the 53-meter rocket take to the skies. 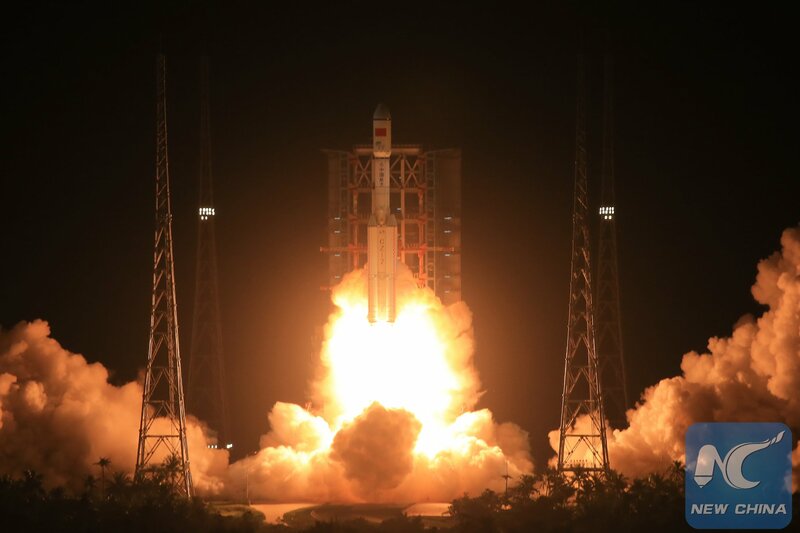 The two-stage rocket performed seemingly flawless and the launch was declared a success, delivering to orbit a scaled prototype of China’s Next Generation Crew Vehicle that is to complete a re-entry and landing test in the coming days. 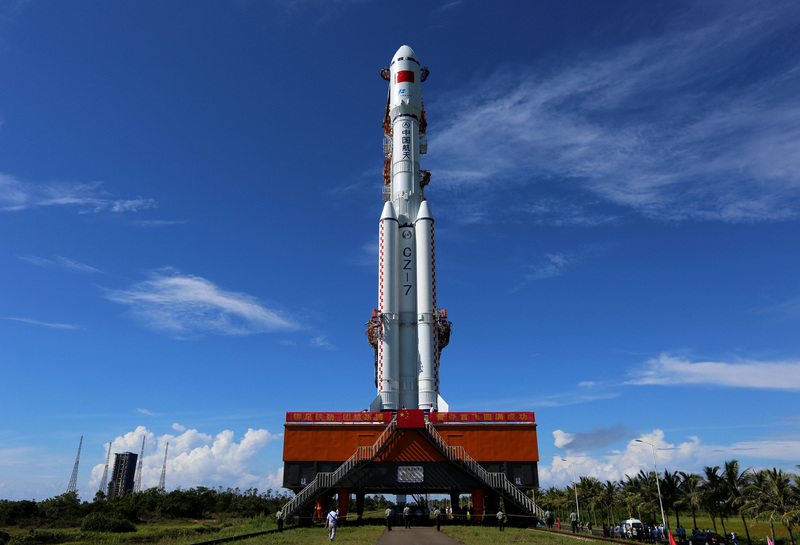 Up to 80,000 spectators were expected to watch the launch in person on the eastern tip of Hainan Island, just south of China’s mainland. The maiden launch of Long March 7 marks China’s next major step in the introduction of modern launch systems to eventually replace the country’s current line of rockets, rooted in decades-old designs and burning a toxic and expensive hypergolic propellant mixture. The light-lift Long March 6 debuted last year, CZ-7 flying for the first time Saturday and Long March 5 set for launch later in 2016 cover the entire spectrum of launch needs foreseen in the future – from crewed Low Earth Orbit missions, satellite launches into Sun Synchronous and Geostationary Transfer Orbits, and missions beyond the bounds of Earth’s gravity. China’s new rockets rely on the concept of simplification through commonality – sharing a number of components and manufacturing technologies to streamline the production process in order to permit a large number of flights. A common element of all three new launchers is the YF-100 engine, switching from toxic propellants to Kerosene & Liquid Oxygen – a mix providing a higher performance while being more friendly to the environment. The Long March 7 rocket is expected to become a workhorse in China’s future space endeavors as it is suitable for a number of different applications – launching heavy craft into Low Earth Orbit and lifting medium-sized communications satellites into Geostationary Transfer Orbit. 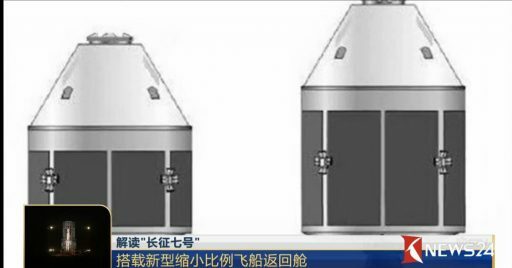 It is envisioned that CZ-7 will become the primary launch vehicle to lift cargo craft into orbit to resupply China’s upcoming modular space station and eventually take over the crewed space program once the next-generation crewed spacecraft is ready for flight. CZ-7 is comprised of a two-stage stack with four large liquid-fueled boosters affixed to the first stage for additional power in the early portion of the flight. An optional YZ-1 upper stage can give the vehicle access to a variety of orbits by conducting complex multi-burn missions. The Long March 7 – weighing in at 595 metric tons – can lift 13,500 Kilograms into Low Earth Orbit and seven metric tons into Geostationary Transfer Orbit, surpassing the Long March 3B that acted as China’s heavy-lift workhorse until the present date. 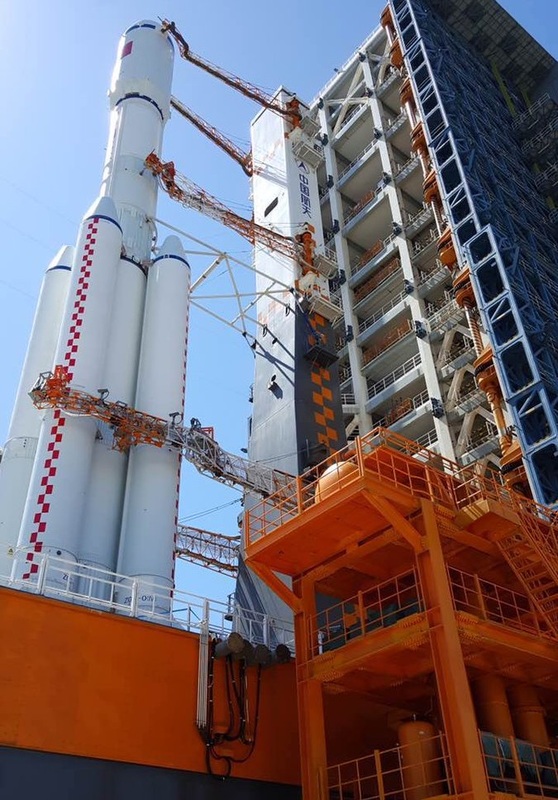 Long March 7 won’t hold the rank of most powerful Chinese rocket for too long as the heavy-lift Long March 5 is currently in the midst of being readied for its debut – expected in the October time frame. Featuring larger boosters and two cryogenic stages, Long March 5 will be able to haul 13,000 Kilograms into Geostationary Transfer Orbit. 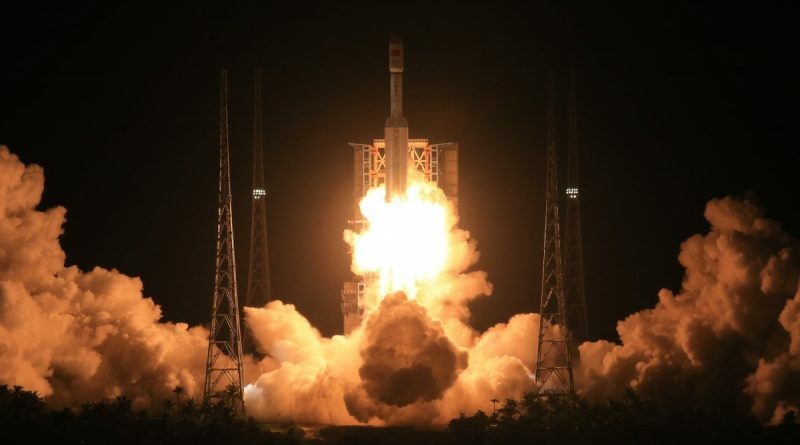 Although China’s new rockets are celebrating their introduction this year, their initial launch rate will be relatively low as engineers will be tasked with ironing out any issues to ensure the reliability of future missions. The current line of rockets will slowly be phased out in the 2020s when the new vehicles have established themselves as fully reliable launch vehicle. The crewed Long March 2F may fly through the end of the 2020s depending on the success of the Long March 7 variant. 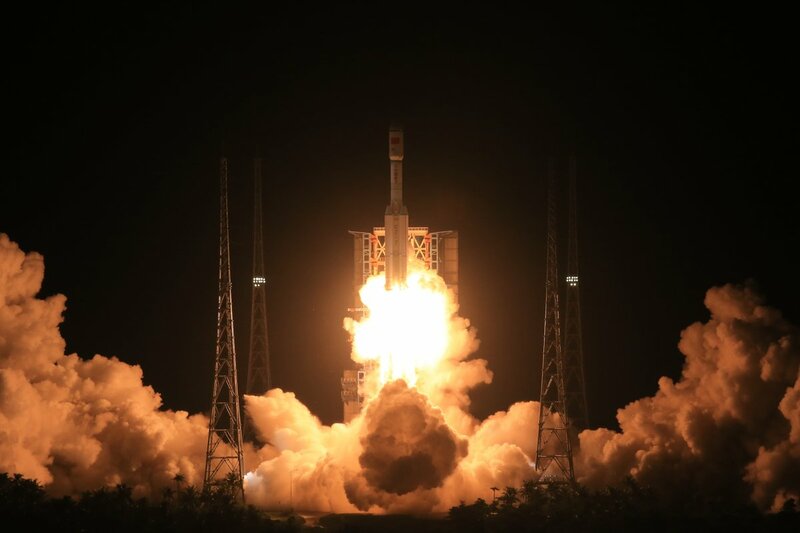 Saturday’s liftoff marked the grand opening of the Wenchang Satellite Launch Center – China’s first sea-side launch base located on Hainan Island. The new spaceport – covering a 20-square Kilometer area on the eastern tip of Hainan – began construction in 2009 and was ready to accept rockets by the end of 2014. Two launch pads were established at Wenchang for the Long March 5 and 7 rockets, each with its own assembly building for the vertical stacking of rockets. The two buildings stand 81 and 99 meters tall, according to China’s state run Xinhua news agency. Located at 19 degrees north, Wenchang is much closer to the equator than China’s three inland launch sites, giving better access to lift heavy satellites into Geostationary Transfer Orbit. Another advantage of the new launch site is its accessibility by ship, allowing rocket stages to be transported from their Tanjin production plant by sea, eliminating any limits on the size of rocket stages dictated by road or rail transport. With two pads located just 600 meters from the beach, launches from China’s new spaceport will drop rocket stages and debris into the South China Sea and Pacific Ocean instead of letting them fall onto land, close to populated areas. The stage was set for Wenchang’s first historic liftoff on Saturday after sunset, occurring at 12:00:07 UTC / 8p.m. local when Long March 7 started breathing fire – igniting its six YF-100 engines, one on each of the four boosters and a pair on the larger Core Stage. Outfitted with a new hold-down system, Long March 7 throttled up to a launch thrust of 722 metric-ton-force before starting to rise from its sea-side launch pad. Climbing vertically, Long March 7 cleared the tower and swung to the south east on a path taking it over the South China Sea, the Philippines, Indonesia and out over the Pacific Ocean – aiming toward an orbital inclined around 41 degrees. 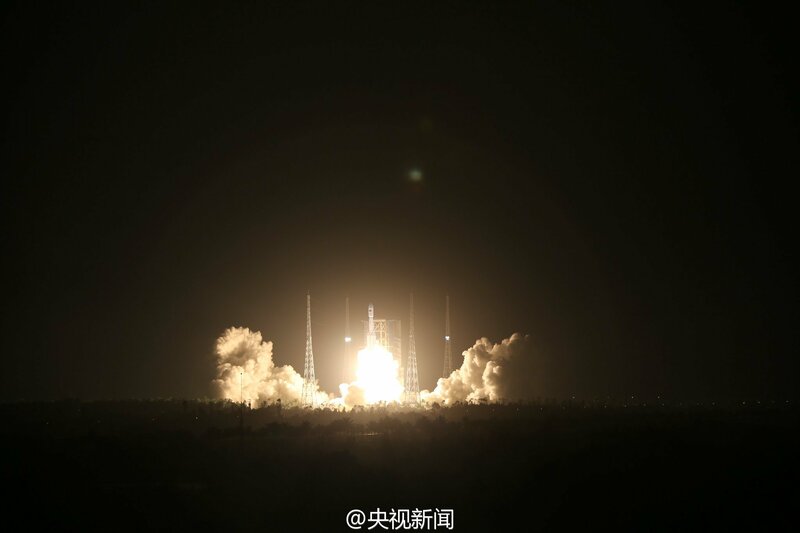 Blazing into the twilight, Long March 7 quickly passed the speed of sound and encountered maximum dynamic pressure. The four boosters, each burning 75,500 Kilograms of Liquid Oxygen and Kerosene, were to fire for just over three minutes before being pyrotechnically separated from the core. Without its boosters, the core was to continue firing its two YF-100 engines for another half minute, burning 820 Kilograms of propellant per second to generate a total vacuum thrust of 273 metric ton-force. Following a pyrotechnic separation, the second stage was to assume control of the flight with its four YF-115 engines, delivering a collective thrust of 73,400 Kilogram force. The 4.2-meter diameter payload fairing was to be separated while second stage was firing as soon as the stack had departed the dense layers of the atmosphere. The second stage of the Long March 7 rocket provides re-ignition capability, a first for a Chinese second stage – allowing the vehicle to fly complex mission profiles to a variety of orbits. This mission only used a single second stage burn that concluded successfully to lead up to separation of the payload stack just shy of T+10 minutes. Chinese space officials declared the launch a success around 25 minutes after Long March 7 blasted off. The achieved orbit was given as 200 x 394 Kilometers. 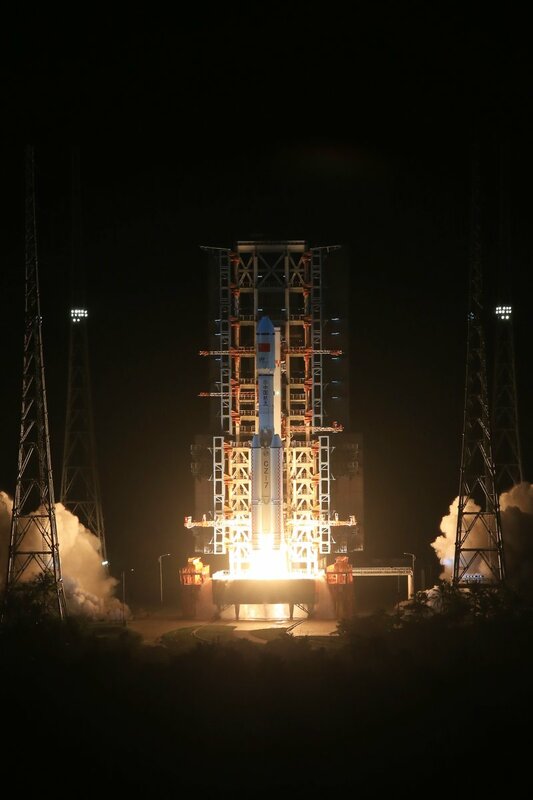 This mission was reportedly using the Yuanzheng-1 upper stage that made its debut last year, outfitted with a hypergolic engine delivering 6.5 Kilonewtons of thrust with multi-restart capability to support complex mission profiles. Only very little is known about the payloads of the first Long March 7 flight. Hidden under the vehicle’s fairing was a scaled-down version of China’s future crewed spacecraft, a ballast mast and at least three small satellites including The Star of Aoxiang, a 33-Kilogram CubeSat-class satellite. The prototype vehicle is a scaled version of a re-entry capsule that would be employed by China’s future crewed space vehicle, ferrying crews to and from the country’s modular space station to be established in the not too distant future. China’s Next Generation Crew Vehicle will fly with crews of two to six and is capable of missions Beyond Earth Orbit. The Entry Module is of a blunt cone shape with a docking port on its forward end and an ablator heat shield in the aft. This mission is primarily focused on the re-entry profile and heat shield performance to ensure a safe splashdown landing of future crews. According to reports, the prototype vehicle is outfitted with batteries, thruster propulsion, a navigation system, heat shield, parachutes and a communications system capable of transmitting through the plasma occurring during the hypersonic re-entry sequence. A possible landing zone for the capsule has been identified in air route closures showing a restriction in Inner Mongolia on June 26 between 7 and 8 UTC. The first use of the Long March 7 in space logistics will come next year when it will launch the first Tianzhou resupply craft to the Taingong-2 space lab – a pathfinder mini space station to provide lessons for China’s large modular station expected to enter service in 2022. Tiangong 2 is set for liftoff in the late summer time frame aboard a Long March 2F rocket and will be visited by a crew of two as early as October for a 30-day stay – China’s longest space mission to date. The Wenchang Satellite Launch Center plays a crucial role in the future of China’s crewed space program, handling the launch of large station modules via Long March 5 and keeping up a steady chain of supplies with Long March 7. Crewed missions will continue to use the Long March 2F launching from China’s mainland for the foreseeable future, at least until the second half of the 2020s.